Addiction is a complex disease that affects an individual’s brain function and behavior. Fortunately, addiction is a treatable disease. At Sobriety Resources we take pride in being able to provide our clients with the highest quality addiction treatment options that are available today. 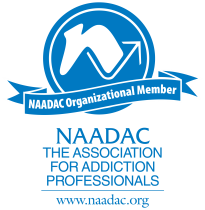 We understand that drug & alcohol addiction treatment is not a one size fits all solution. One of our addiction experts is available right now to determine which one of our state of the art treatment facilities would best suit you or your loved one. We believe in supporting the individual on their road to recovery from beginning to end. Our job is to make sure that you or your loved one is comfortable and motivated throughout your journey to recovery. Our network of treatment centers follows this same philosophy and shares the same views on patient care. It is important that friends and family members do not wait until their loved one asks for help. Much of the pain and suffering can be alleviated sooner rather than later if an intervention is implemented. The intervention would be performed by a group of professionals and the individual’s loved ones. This allows recovery to begin without the individual having to hit their “rock bottom.” Many of our affiliates provide intervention services. After an intervention, many patients will enter a detoxification facility. It is here that the addict will physically withdraw from the substance they are abusing. Many of the withdrawal symptoms they will experience will be unpleasant and could become life threatening depending on what substance is being abused. It will be determined on a case by case basis if medical management of these symptoms should be implemented. Detox will usually last three to five days and is just as emotionally taxing as it is physically. Detox alone does little to change the long term problem of the client’s substance abuse. The next step of treatment is for the client to enter into an inpatient residential or outpatient rehabilitation program. This type of treatment will address all the patient’s needs, and not just their drug addiction. It is here that the client will learn healthy coping strategies to deal with daily life stressors. These newly learned skills will help them combat the urges to use when they feel stressed. Behavioral, cognitive, individual, family and group therapy are all important elements of a successful treatment program. After successful completion of a substance abuse program it has been proven beneficial for an individual to attend an aftercare program. They will continue to learn new skills that will help them stay sober and make healthy behavioral choices during and after re-entry into society. Aftercare programs are crucial in helping the newly sober individual avoid relapse. 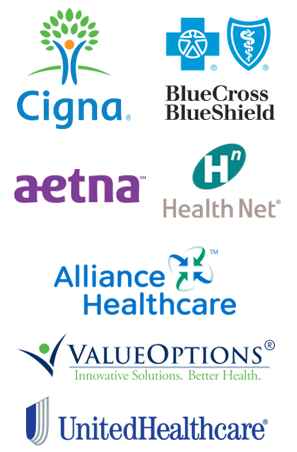 The network of treatment centers we work with is extensive. This allows us to provide our clients with a variety of options when it comes to selecting the right fit for treatment. We are able to provide clients with many different tracks of treatment ranging from pet friendly, couple based, Christian, and gender specific. Check out what Sobriety Resources has to offer, and we can guarantee we will find the right fit for you. Let us help you experience the freedom of sobriety.